2 Tempura Prawns with Crabmeat on top of Fresh Water Eel & Tuna. Garlic Albacore Tuna, Avocado & Cucumber on top of Salmon, White Tuna, Ahi Tuna, Yellow Tail & Red Snapper with 3 kinds of Tobiko. Freshwater Eel & Crabmeat on top of Avocado. Served with our Sweet Lemon Sauce. Dining for more than one? No problem! Try one of our platters, there's something for everyone! Try one of our lunch or dinner bento combinations. Many varieties to choose from. Avocado, Cucumber & Crabmeat on top of Tuna, Red Snapper & Salmon. Koibito, a premium Sushi & Teriyaki restaurant located in Lacey, WA. Koibito of Lacey, WA is proud to offer the best in the Asian art of Sushi. 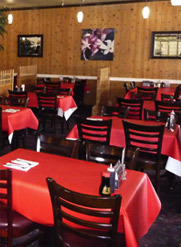 Our family owned restaurant features some of the best Sushi in the Thurston County area. Our chefs are masters in the art of creating Sushi with exciting new twists that is sure to please any Sushi lover. Jerry Choi, new owner of Koibito of Lacey, is dedicated to creating a fun and inviting atmosphere where families and friends can enjoy the best quality in Japanese and Chinese cuisine. Jerry left a promising career in technology to peruse a passion that his family has shared for over 20 years. He is a pioneer of Japanese restaurants in Washington from his first restaurant that he started in Federal Way to Port Angeles where his business became a household name among Sushi lovers. You can only expect the best quality of Sushi at Koibito of Lacey. Jerry trained at a premier Sushi Academy in California but don't be surprised by his personal touch either. Jerry's sushi creations are a favorite among many. It's always a treat at Koibito of Lacey. Come and enjoy the experience! so that our wait staff can be summoned or prepared for your patronage. Thank you! ©2010 Koibito of Lacey - All rights reserved.